Denny Jump (Bellevue, WA, United States) on 24 September 2011 in Lifestyle & Culture. Here we are in the shop (tucked into a corner of the larger barn) of Chapin Orchards where they sell all manner of Apple-related items, as well as honeys, jams, jellies, vegetables in season, pumpkins, pies, etc., etc.. And evrything is delicious. The owners also have orchards in southern Vermont that they share with other orchard owners. 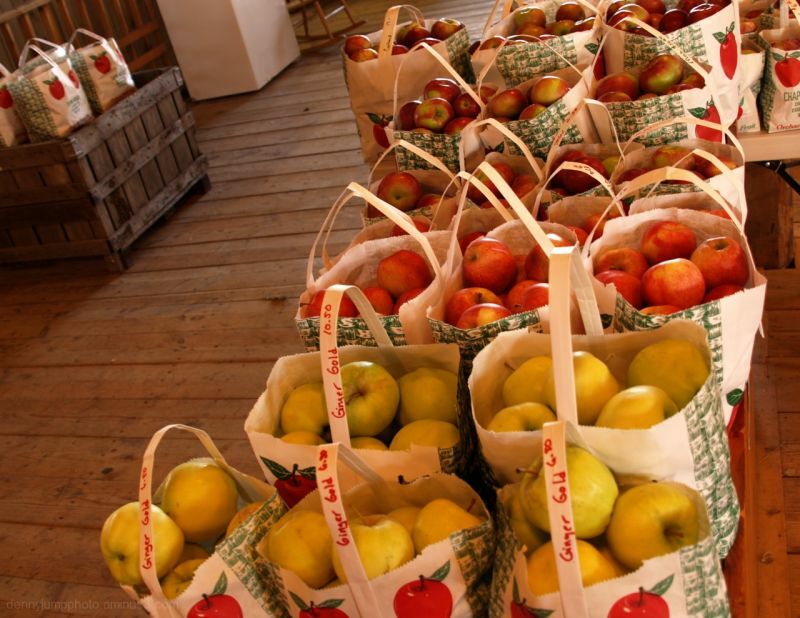 Most of the apples grown here in this Essex, VT location are "Honeycrisp" (Red) and "Gingergold" (yellow) apples. Both of these variaties are wonderful for cooking as well as eating! The colours combine so effortlessly, nice shot. Nice shot of all these different apples together Denny. I really like your angle and composition - well done! Nice and timely, this posting for the outside world! :) I like the tilt which makes me feel like it's MY eyes as I stop in my tracks and decide to buy some of these. Hmm, like the colors in this "fall" shot. All those gorgeous apples. Love this photo....love the light, colors and all those apples...this reminds me when I was a teenager and we used to pick apples from our local apple orchard! Great capture! Lots of different types of apples. I love the colors! Great shot! A bountiful fall harvest! Lovely colors in this fine capture. Fabulous! All the colors of fall in bushels of apples! I can taste the apple pies and applesauce and apple crisps ... yummy yummy yummy! Luscious! Nice color and patterns.